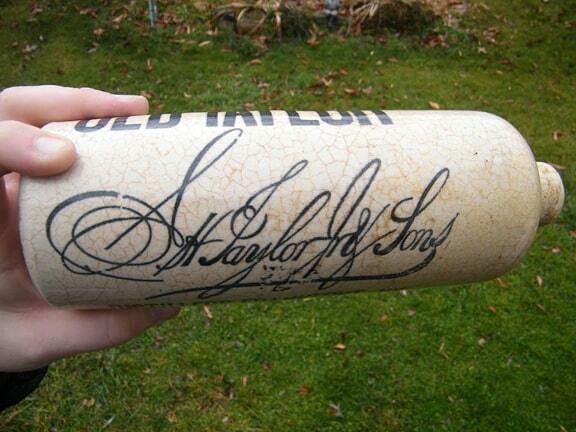 I was wondering if you could do an article on this Old Taylor bottle…maybe figure out where in the heck it came from? Dad wants to know really bad and no one has been able to identify or help him with it. He dug it in a OLD house a long, long time ago. 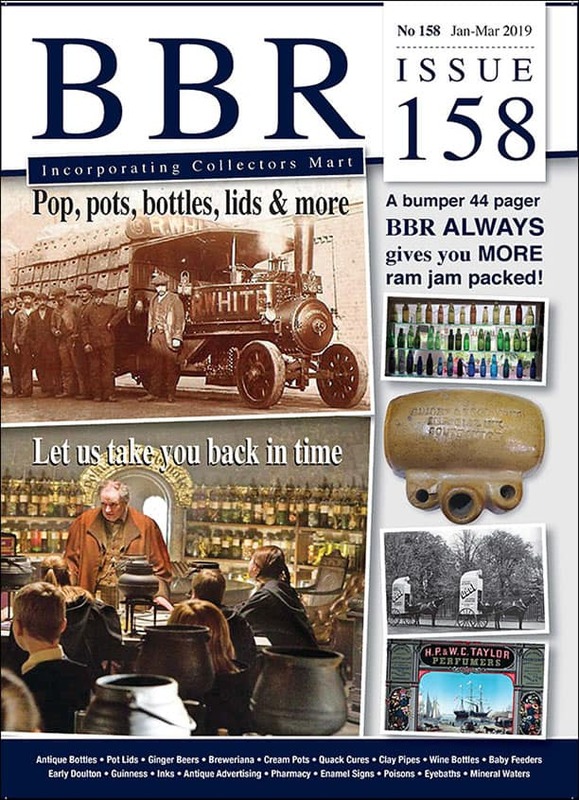 Here it is if you want to do a write-up. Please find some info, that would be amazing. Dad would be really happy for Christmas!! 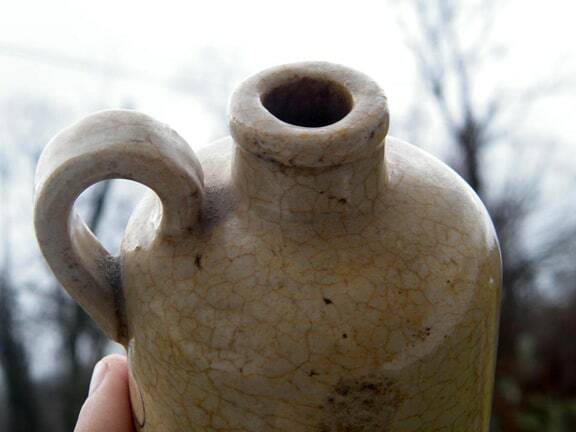 He dug the bottle in the city of White Sulphur Springs, West Virginia or in proximity at least near an old brick Civil War house. Behind the house was a trash dump and he found it there approximately 40 years ago. 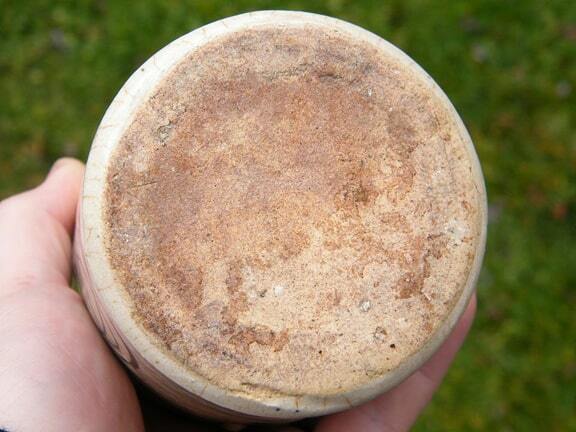 He also found an anchor flask there and broken bitters bottles. 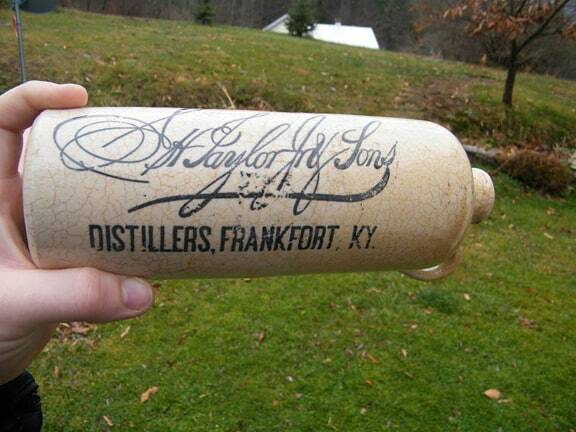 Aaron: What you have pictured is from E. H. Taylor, Jr. & Sons Distillers (not SH Taylor) from Frankfort, Kentucky. 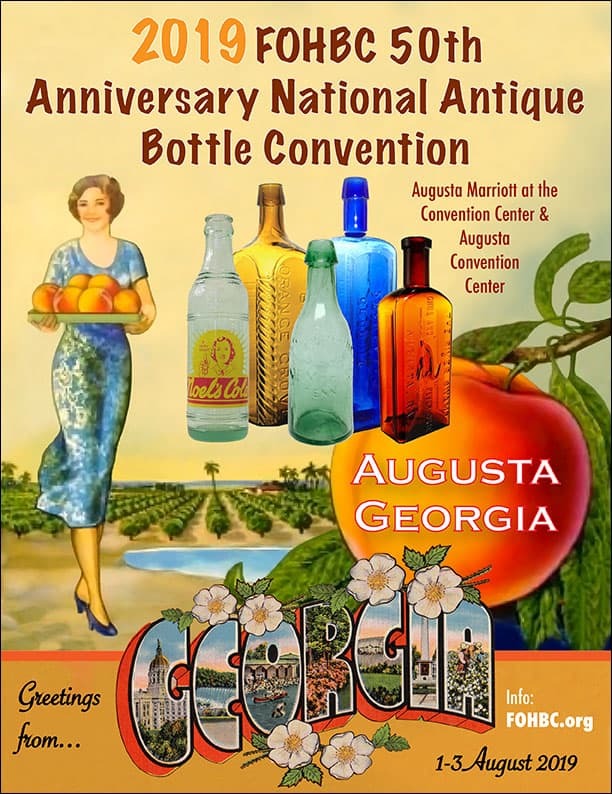 I would suspect the bottle is dated around 1884 to 1910 or so as this was when the “Sons” was used on the brand signature. It really could not be in the Civil War era as his sons had not been born. I have been unable to locate any other examples of your bottle. 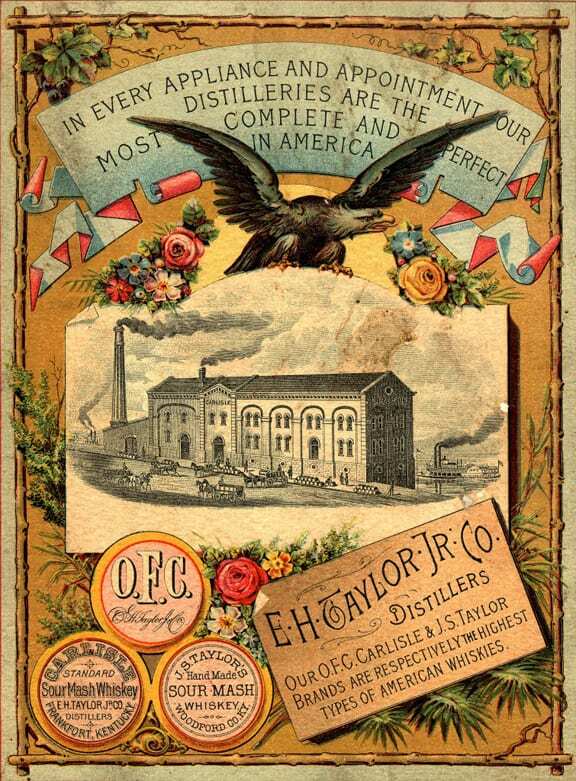 Old Taylor Bourbon was named in honor of Edmund Haynes Taylor, Jr. who lived from 1830-1923. 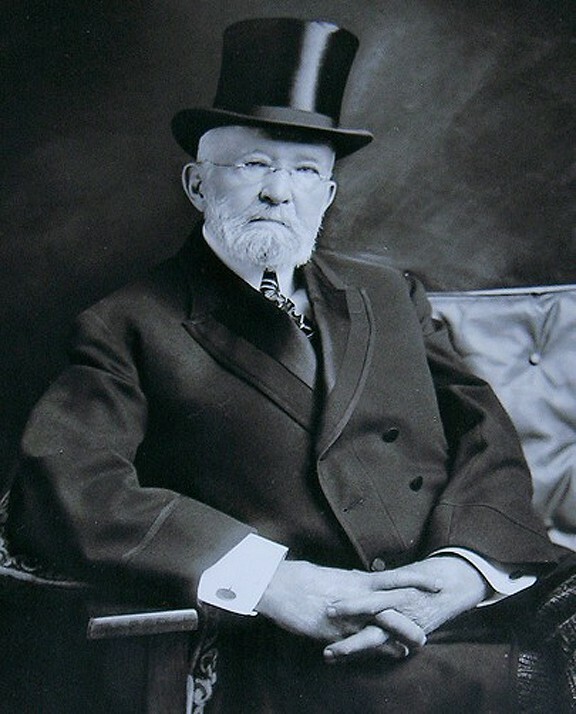 Taylor was one of Kentucky’s original Bourbon aristocrats and was called the “father of the modern bourbon industry.” He was an industry leader who greatly advanced the quality of Kentucky Bourbon and safeguarded the Bourbon label from bogus producers. 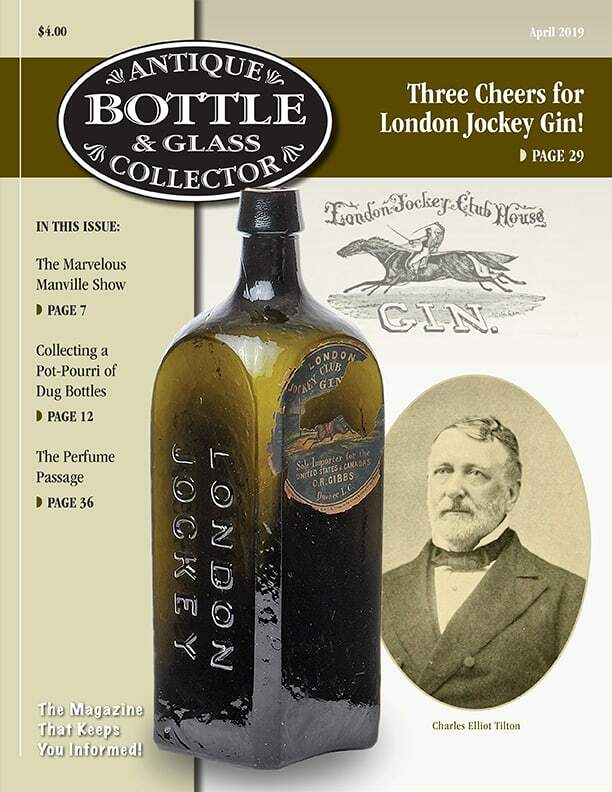 Taylor started and owned seven different distilleries throughout his career, the most successful being the O.F.C. and Carlisle distilleries, the forerunners of today’s Buffalo Trace Distillery. In 1894, E. H. Taylor, Jr., and his sons, J.S. and Kenner, organized a corporation under the name of “E. H. Taylor, Jr. & Sons”. 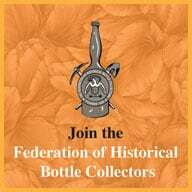 Soon thereafter their corporation acquired the distillery plant and all other assets of their former partnership and resumed the manufacture and sale of whiskey under the brands “Taylor” and “Old Taylor”. 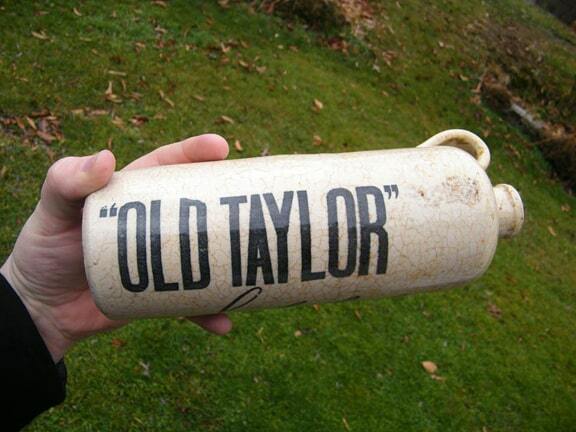 It appears that after 1910 the single word “Taylor” was seldom, if ever, used as the brand name, but thereafter the words “Old Taylor” and the script signature of the corporation “E. 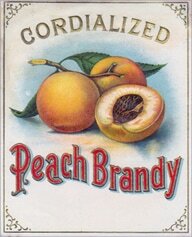 H. Taylor, Jr. & Sons” appeared conspicuously upon all labels and in all the advertising matter of the corporation. 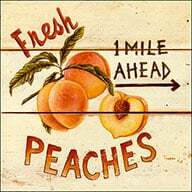 His sons were named Jacob Swigert Taylor and Kenner Taylor. 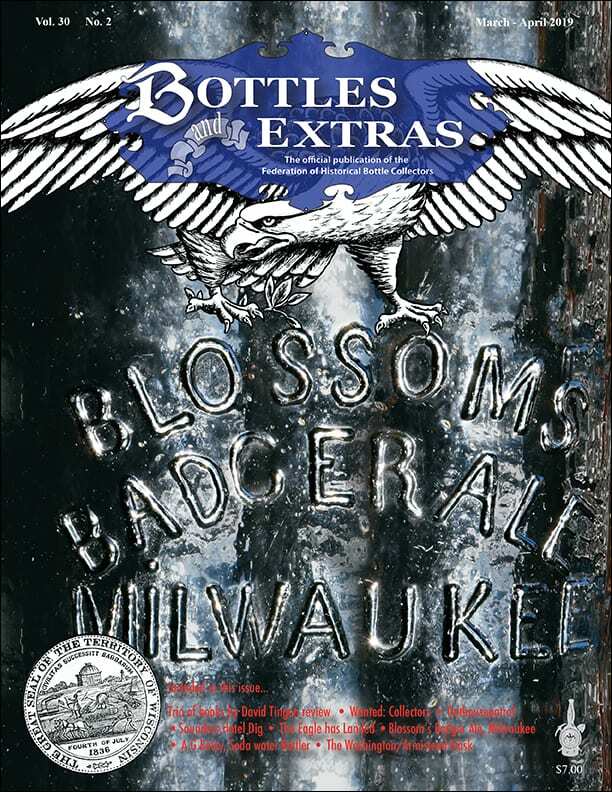 If you look closely, the bottle shape on the bottom right illustration on this Mida’s Criterion document is similar to the Hanshew example. 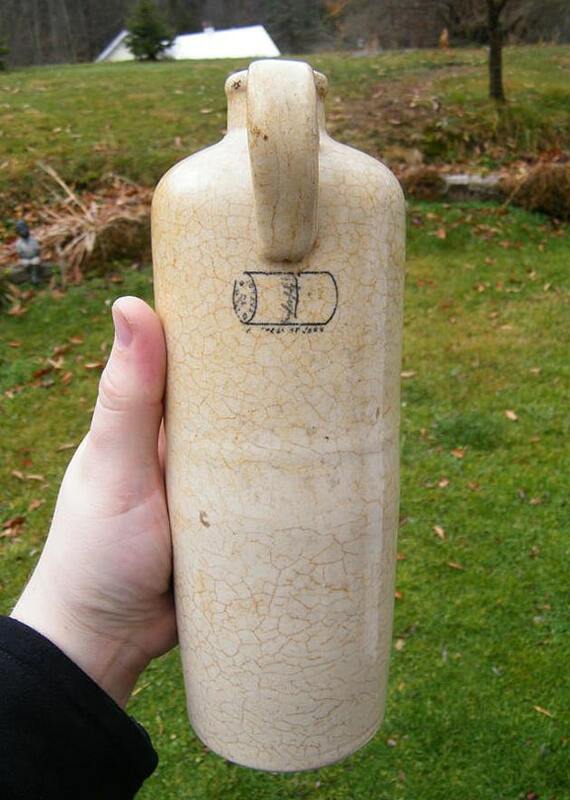 Possibly the handle is behind the bottle and the bottle has a label wrapper. What is fascinating about Taylor was his guarantee of quality in an industry that had virtually lost all credibility with consumers. He also built the amazing Old Taylor Castle on eighty-two acres along the banks of Glenn’s Creek which is south of Frankfort, in northern Kentucky. 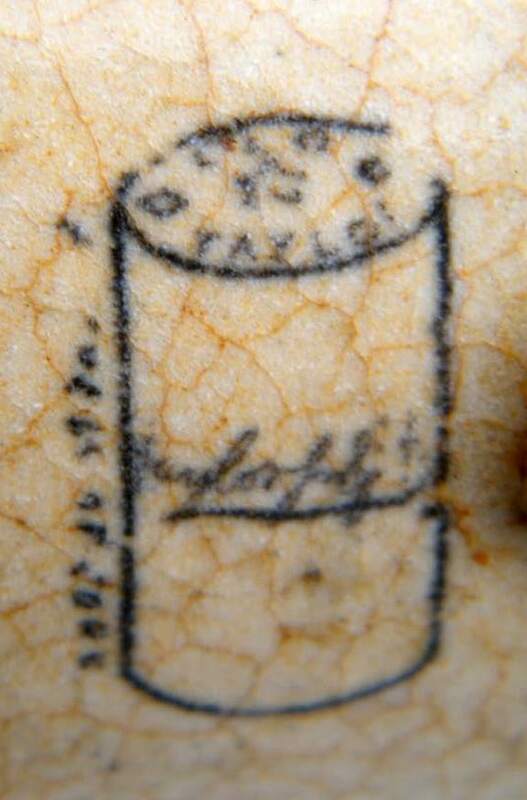 This castle was prominent in much of his advertising. The distillery was once the leading bourbon producer of the bluegrass state and was the first to reach the benchmark count of one million U.S. Government certified cases of straight Bourbon Whiskey. 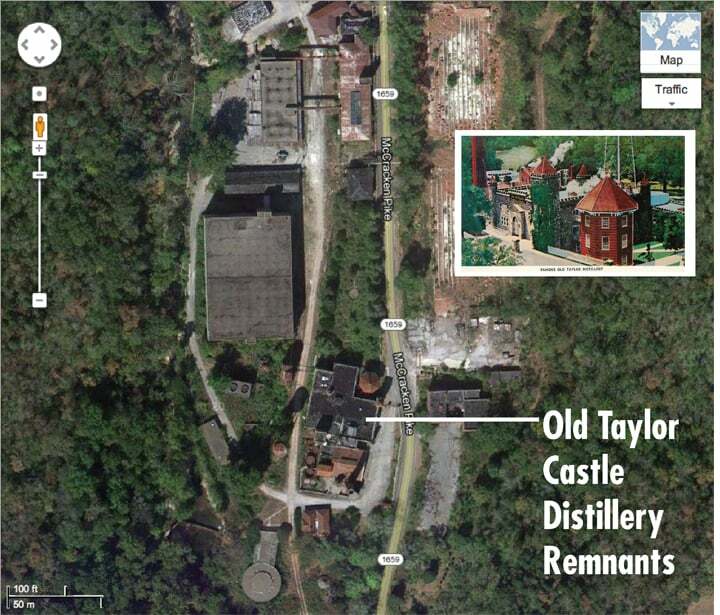 You can also see remnants of the Taylor Distillery and castle if you visit Frankfort or take the Kentucky Bourbon Trail tour. 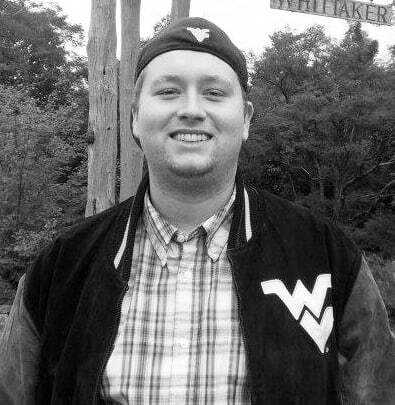 Taylor was also a descendant of two U.S. presidents, James Madison and Zachary Taylor, and because of this, Taylor had connections to Frankfort that benefited his self-interests. He later served as a longtime, 16-year mayor for Frankfort and as a state representative and senator. Bottling house at 518 Broadway (1884). Distillers of Old Taylor Whiskey. 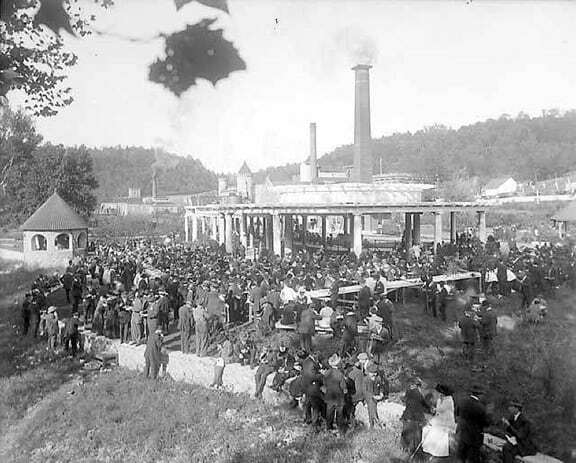 Distillery at Taylorton, Glenn’s Creek, Woodford Co. (1910, 1912). Distilleries at Taylorton, Glenn’s Creek, Woodford Co. (1914-1919). 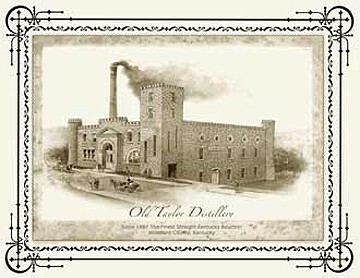 Taylor also owned the OFC and Carlisle Distilleries near Frankfort. 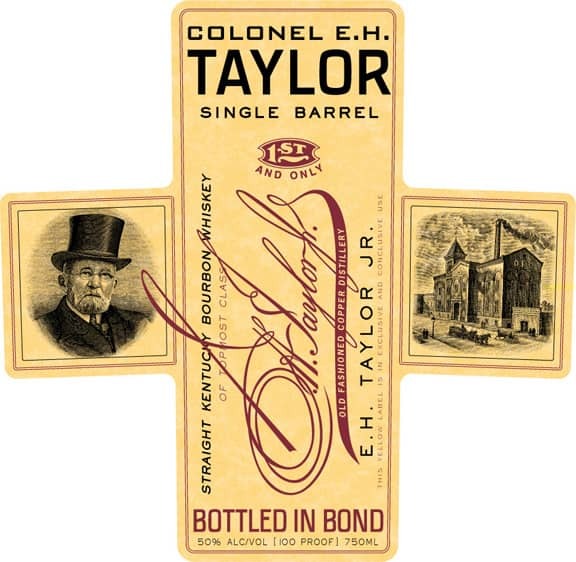 Colonel E. H. Taylor Jr. established the Old Taylor Distillery in 1887 in Frankfort, Kentucky. This was 16 years after this ‘birds eye’ map was illustrated. 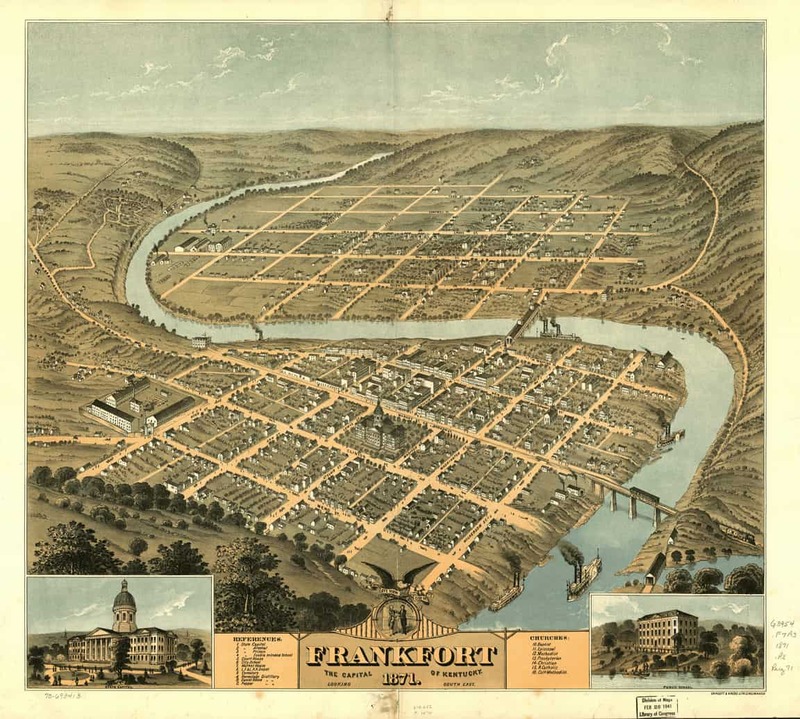 I think it still gives you an idea of the typography and layout of Frankfort. 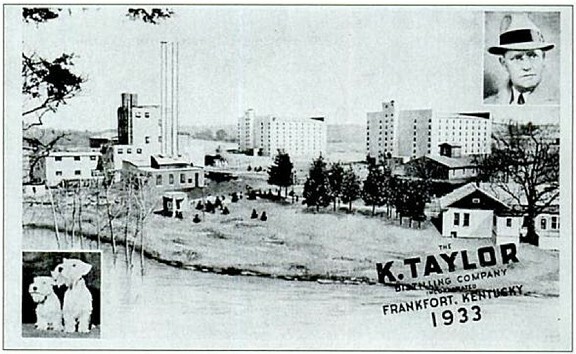 The Old Taylor Distillery was located south of town on Glenn’s Creek. 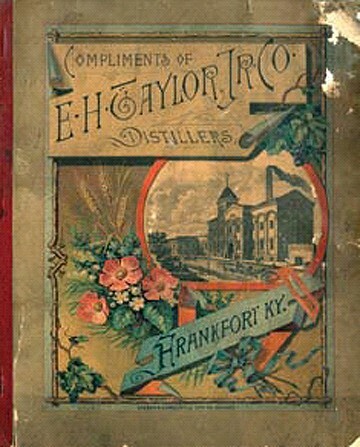 E.H. Taylor Jr. Co. Distillers back book cover in full color. 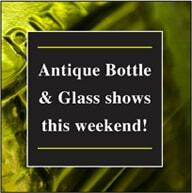 Three products are listed: O.F.C., Carlisle Sour Mash Whiskey and J.S. Taylor Sour Mash Whiskey. This is a rather large distillery for the era. That would be the Kentucky River shown beyond the Distillery. 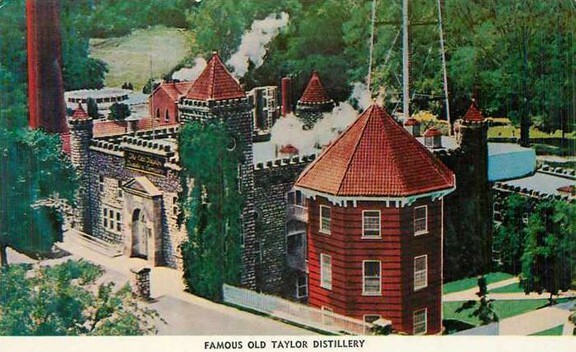 Circa 1959 hand tinted Post Card showing The Old Taylor Castle. In this Google satellite shot you can see the remnants of the castle, smokestack and round corner tower. This would be a fun site to visit. Not producing any Bourbon anymore. Nature recaptures the Taylor Distillery. 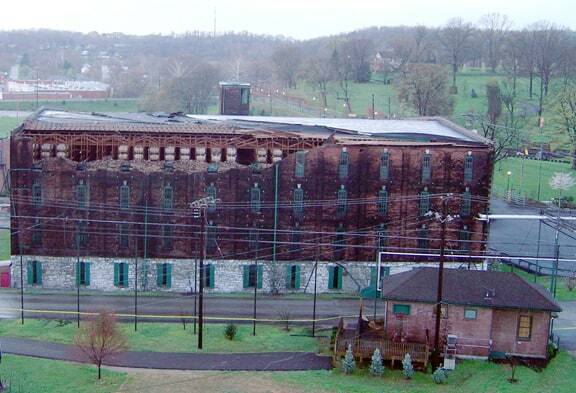 On April 2, 2006, a storm ripped through Kentucky, tearing apart two of Buffalo Trace’s warehouses. 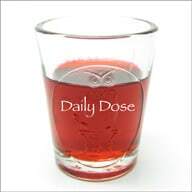 One was empty. 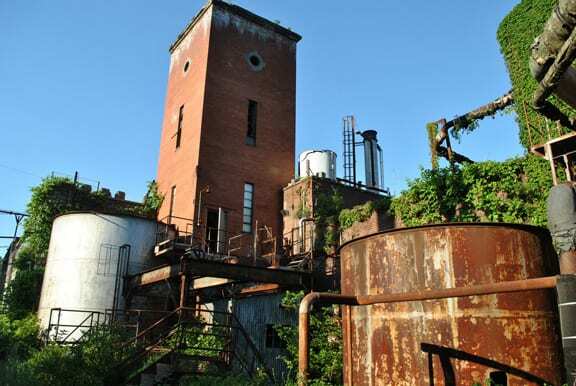 One, Warehouse C, was full of 24,000 barrels of then-young, far-from-release E.H. Taylor Bourbon. 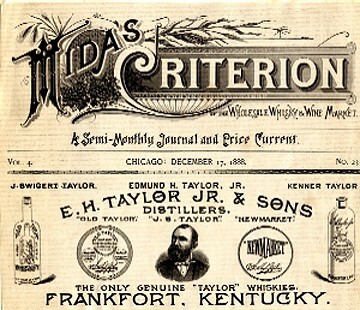 This entry was posted in Advertising, Digging and Finding, History, Liquor Merchant, Questions, Spirits, Stoneware, Whiskey and tagged Aaron Hanshew, Bourbon, Buffalo Trace, Carlisle, Colonel, Distiller, Edmond Haynes Taylor, Frankfort, Glenn's Creek, Jacob Swigert Taylor, James Madison, Kenner Taylor, Kentucky, O.F.C., Old Taylor, Old Taylor Castle, Taylor, Whiskey, Zachary Taylor. Bookmark the permalink. Pingback: The Life and Times of E.H. Taylor – E.H. Taylor, Jr.